These reusable Azlon® polypropylene square ratio beakers have blue graduations for taking legible and efficient measurements. 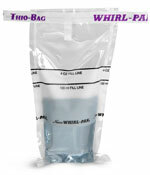 Each kit comes with one of each specifically sized beaker shown above. 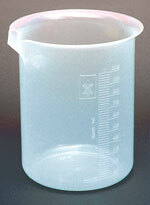 Square ratio beakers are the safe, convenient alternative to Griffin style beakers. Each beaker features a vertical lip around its top which helps in containing spills and allows the beakers to be stacked when not in use. The pour spouts on the beakers' lips help in accurately directing the flow of any liquid. Beakers are autoclavable. Size Qty Hgt I.D. O.D. Grad.